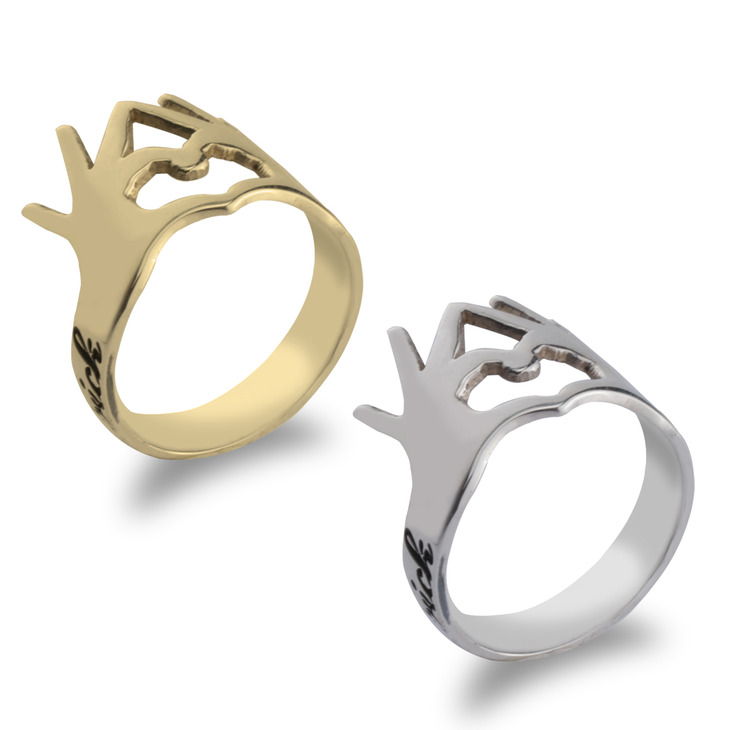 Celebrate the love in your life with a Ring with Hands and Heart of your very own. This beautifully crafted ring will truly express your everlasting love. 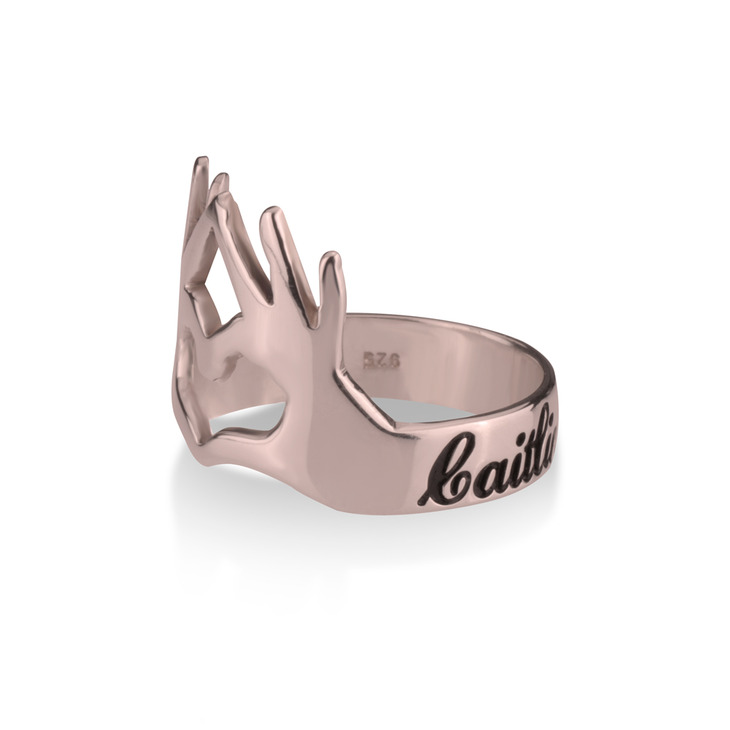 This ring is crafted with the symbolic hands forming a heart shape, to encircle your finger with a durable and high quality ring. 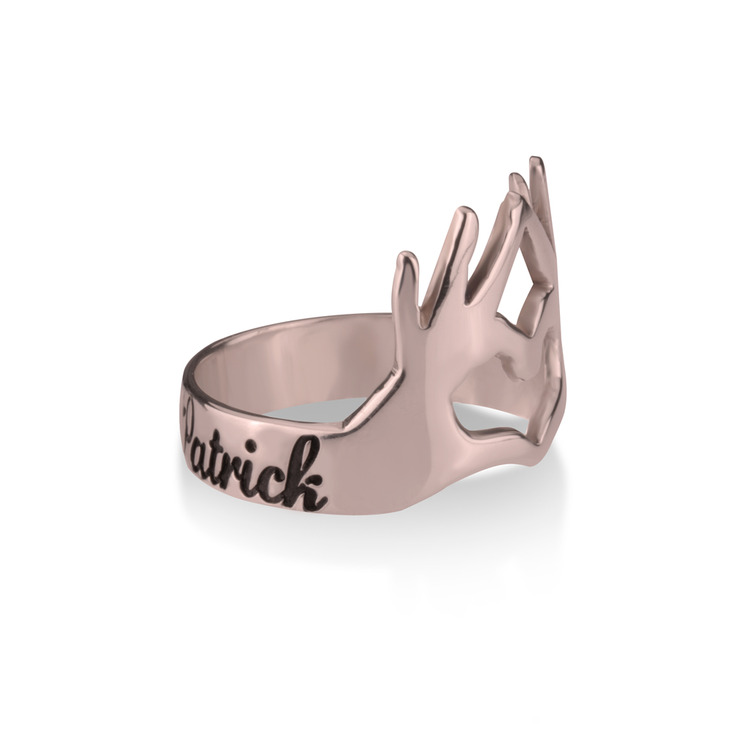 Tastefully engraved in a cursive font with the names of your choice, and available to select in Sterling Silver, 24K Gold Plating, and Rose Gold. 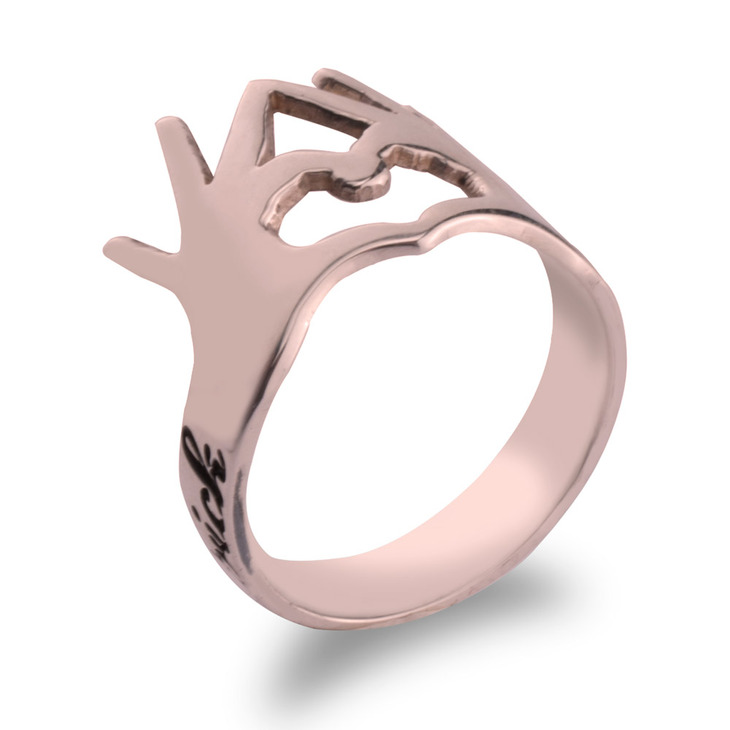 Gift this stunning heart and hands ring to that special woman in your life as a reminder of your love, or this makes the perfect gift for your best friend to show how much they mean to you.